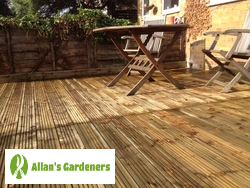 When you need professional help in re-designing or improving the style of your garden, get in touch with Allan's garden design experts in Ilford IG1 today. We’re on hand to offer free advice and price estimates on any small or large garden design job you need helping with. Imagine the difference of having a newly laid patio or a freshly made, colourful border which will make your property more attractive? Our rates are extremely competitive, and because we provide a bespoke service based on your personal preferences, you'll receive exactly what you’ve asked for. Whether you're just too busy to do the job yourself or simply need professional advice to help you with the design, Allan's specialists have the skills and expertise to help you every step of the way using the best equipment on the market. Looking for some assistance outside of the local area? No problem! 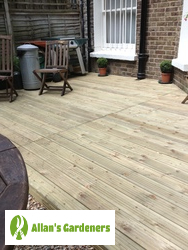 We also offer our quality garden design services in: Barking, Kingston upon Thames, Islington, Camden, Romford.